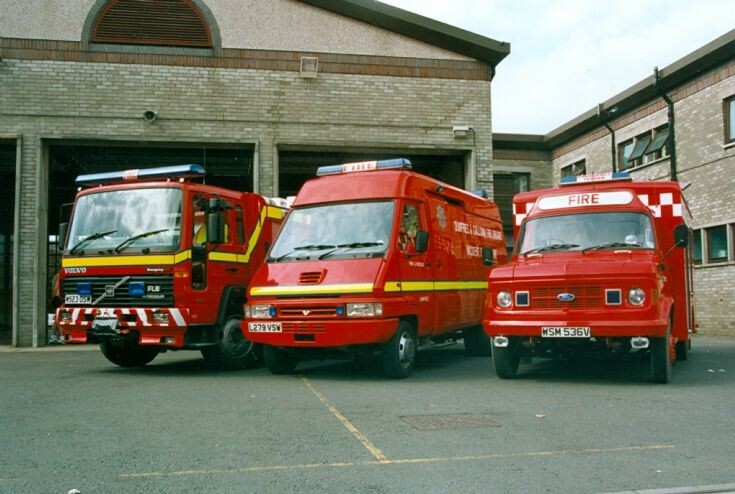 Former Dumfries and Galloway Fire Brigade Ford A series together with its replacements. The Volvo appliance had just been put on the run when this photo was taken. Added by John Johnstone on 08 July 2009. Added by Firetrack on 11 July 2009. Forgive my friend John, he's like me, we have a strange aversion to anything other than Bedfords, Dennis and SOME Fords. Maybe its because we are Tykes? lol! Added by John Stott on 11 July 2009. Yep - I was standing next to Paul taking the same shot! WSM815V was "our" Ford ET......was like going backwards to a job, kids used to pass us on bikes....VERY embarassing. 536 retired with 21K on the clock, ours had about 90K and was truly knackered. Added by Firetack on 12 July 2009. WSM 815V ended up on Tyneside and was for sale but I don't know what happened to it. Never seen it at any local shows. Added by Paul Staniland on 12 July 2009.